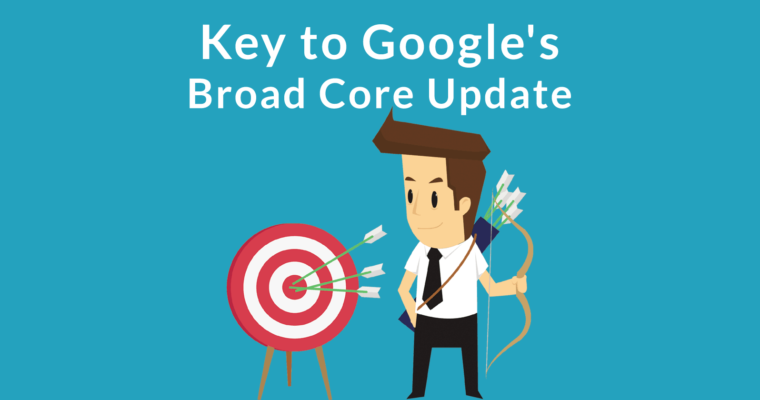 In a discussion about this month’s algorithm update, Google’s Danny Sullivan suggested that web publishers concerned about the broad core update take time to read Google’s Quality Raters Guidelines. He suggested that the secret to better rankings is better content and that the key to better content is in the quality raters guidelines. 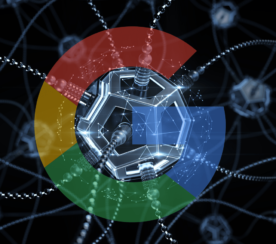 Google’s Danny Sullivan encouraged downloading and reading Google’s Quality Raters Guidelines in order to better understand how to rank better. Do Google Quality Raters Affect Rankings? 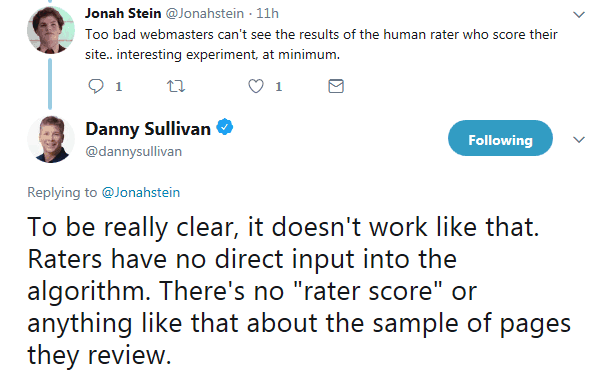 Danny Sullivan’s suggestion to study the quality raters guidelines for clues to how to rank better led to the suggestion that Google’s quality raters have a direct impact on a website’s rankings. Apparently there’s a school of thought in the SEO world that Google’s Quality Raters rate websites and that their ratings affect the rankings of those websites. 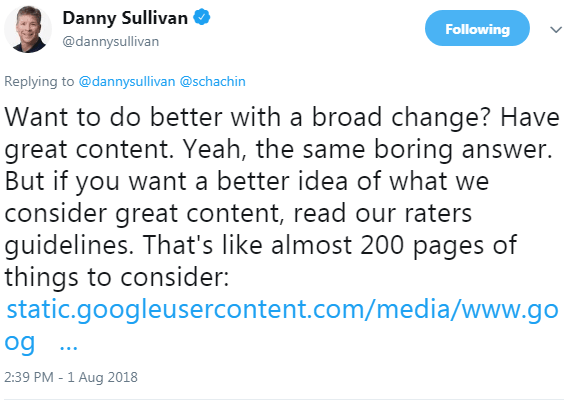 Google’s Danny Sullivan responded in a clear manner that Quality Raters have zero direct effect on website rankings. 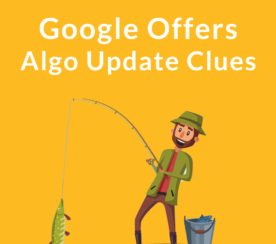 Google’s Danny Sullivan confirmed that Quality Raters do not have a direct effect on individual website rankings or on the algorithm itself. Danny Sullivan went on to detail that the role of quality raters is for quality control testing the algorithms. Danny then reiterated that the quality raters input is not a part of the actual algorithm. Their role is limited to helping measure the algorithm, not individual websites. To be super clear, in case others see out of context, they’re not writing actual reviews. I’m using the restaurant metaphor to emphasize how we use feedback overall to understand if our results overall seem good, not to actually be part of our algorithm. Does the Quality Raters Guidelines Hold Ranking Secrets? Is it a coincidence that Google’s revised quality raters guidelines was published days before the latest update? Maybe, but it sure was close to the date of the update. According to a discussion on WebmasterWorld, some web publishers were reporting success from reading the quality raters guidelines and applying what they learned to improving their websites. “The quality of the MC (main content) is one of the most important criteria in Page Quality rating, and displays the Expertise, Authoritativeness, and Trustworthiness (E-A-T) of the page. …John Mueller isn’t going to audit my website after each and every algorithm update. The search quality guidelines is the closest I’m going to get to that. There are lots of little nuggets in there that you can find on your own. Another member reported on drops in rankings and that they were confused as to why. Someone answered that they should review the quality raters guidelines. After reading the guidelines, they acknowledged there was much they had missed. Clearly there is value in reading Google’s quality raters guidelines. If you haven’t read it yet, download the guidelines (link at end of article) and read them. I published an analysis of SEO the quality raters guidelines. My article highlights five strategies latent in the quality raters guidelines. I shared many good tips on how to improve rankings. Google’s guidelines explicitly instructs the raters to judge a site according to how a page satisfies a site visitor’s goals. After reading my article, read the quality raters guidelines (download it here). 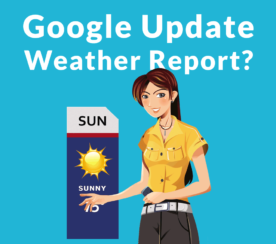 You may discover tips for improving your site and ranking better on Google. There are many useful SEO insights in that document.